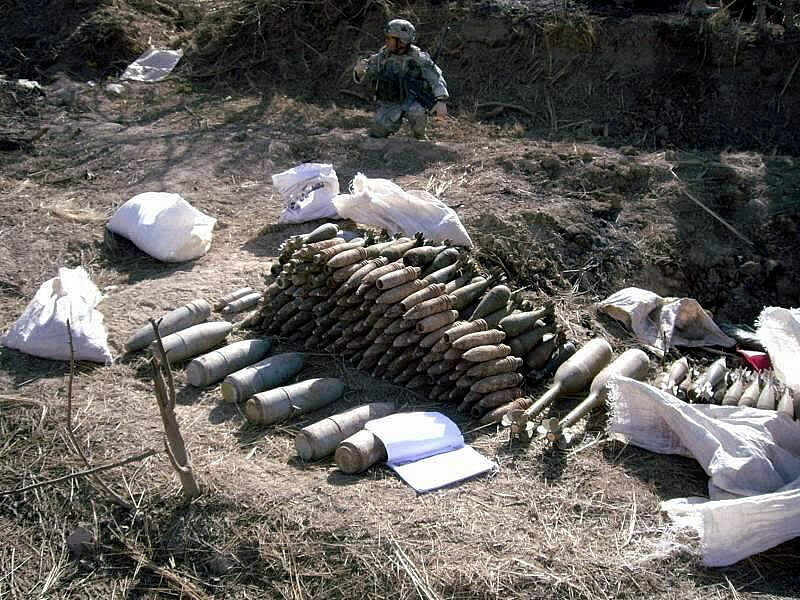 Some of the mortar rounds that were discovered during Operation Cowpens on the Jabouri Peninsula, Iraq, are displayed near where they were discovered. Photos by Sgt. Zach Mott, 3HBCT PAO, 4th Inf. Div.